Waiting for a sunny summer, she tied her Alyona cap with a visor "dashboard". 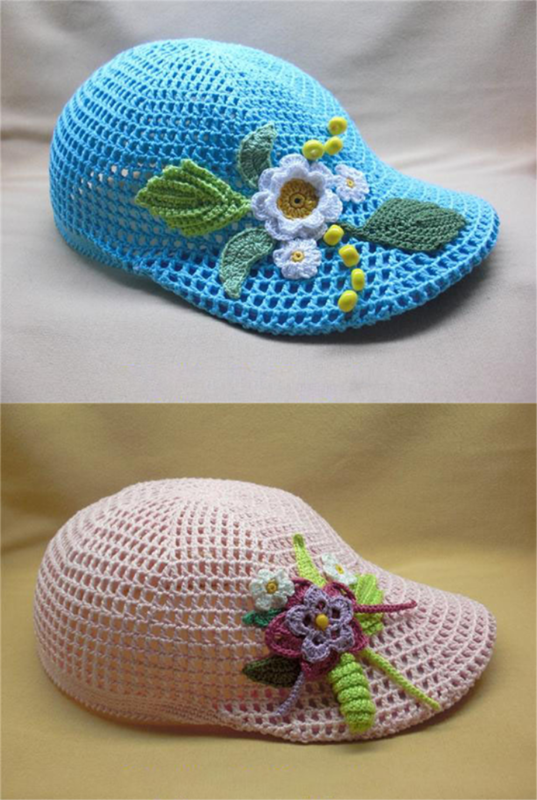 The cap of yarn "Narcissus" is connected, 100% cotton, 100g / 400m, crochet №1,75. Head circumference 47-48 cm. It took away less than half of the machine. The pattern is the simplest - a sirloin grid, columns with a crochet through one air loop.